Tragedy has brought Micaela Burgos back to her hometown of Sleepy Hollow. It’s been six years since she chose to live with her affluent father in Miami instead of her history-obsessed eccentric mother. And now her mother is dead. But while Sleepy Hollow was made immortal by literature, the town is real. So are its prejudices and hatred, targeting Mica’s Cuban family and the secrets of their heritage that her mother obsessed over. But ghostly voices whisper in the wind, questioning whether her mother’s death might not have been an accident after all, and Mica knows there’s a reason she’s here. With the help of two very different guys—who pull at her heart in very different ways—Micaela must uncover the hidden secret of Sleepy Hollow…before she meets her mother’s fate. So this review is going to be on the shorter side. I got the opportunity to interview Gaby Triana about Wake the Hollow. I’ll let her tell you more about the novel, but I was so enthralled with this book; I needed to know what happened and finished it in 24 hours. Wake the Hollow’s plot is a nail bitter, chilling you to the bone. You don’t know who to trust- Bram, the childhood best friend, Dane, the handsome witty new teacher, Mica’s father, who is unavailable most of the time, or the voices leading Mica. It’s very clear that Mica has a complicated relationship with both her mother and the people of Tarrytown. Her mother has been considered the town “crazy” for a long time. Her mother is also accused of stealing valuable property from a historic society. So when her mother dies, Mica is forced to confront her own demons along with the town’s intolerance of her mother. Everything Mica has ever known she starts to question. There are twists and turns that you don’t see coming as past and present are reconciled. The story is also educational. Triana pulls from Washington Irving’s real life to build suspense about a secret journal of his and a possible affair that could change everything people know about Irving. 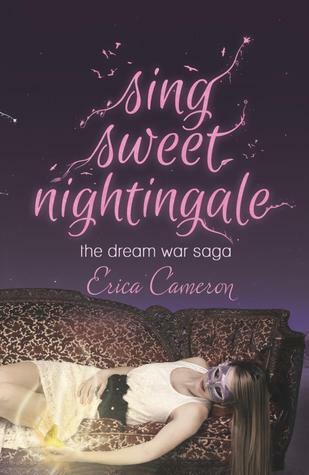 If you enjoy suspense, romance, and Sleepy Hollow give this book a read! Thanks so much for joining us here at The Talking Bookworm. 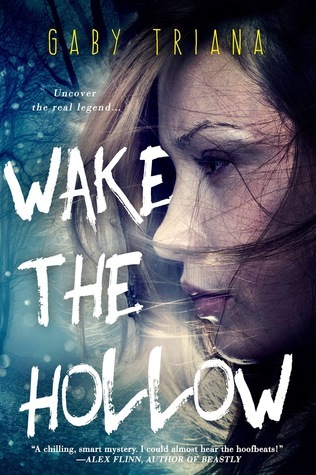 I’d first like to say that I absolutely loved Wake the Hollow and your portrait of the Sleepy Hollow. I finished it in about 24 hours; I was so enthralled and did not want to put it down. Can you tell us a little bit about Wake the Hollow? Wake the Hollow is a re-imagining of The Legend of Sleepy Hollow set in modern times. However, it was important to me not to write a straight retelling of the classic, since we all know how that story goes, so I took a different approach. I turned the love triangle of The Legend of Sleepy Hollow into a subplot, coupled it with the gothic elements and open-endedness of the classic tale, and created a completely new storyline. In the end, we have an homage to the classic with new things to think about. In the acknowledgement section of your book, you said it took eight years to finalize once you had “finished” it. Why did it stew for so long? Life changes made me put it aside for a while and move on. Also, it couldn’t seem to find a home with any publishers, and I realized it was because the story was hard to pinpoint. I had all these great elements that weren’t gelling the way I would’ve liked, but I couldn’t figure out what was wrong with them either. Several revisions later, the story started to sort itself out, I cut a lot of the noise distracting us from the root of the story, and Micaela’s real story started to come through. Sometimes, you’re too close to a story and have to step away for a while. What was so interesting about the story of Sleepy Hollow that inspired you to write a retelling of some sorts? and the author Washington Irving? I’ve always been fascinated by The Legend of Sleepy Hollow. It began with the Disney short cartoon from the 50’s, then I read the story as a child, and I’ve always been intrigued by the open-endedness. We think it’s about the Headless Horseman, but it’s not. It’s about an out-of-town schoolmaster named Ichabod Crane who tries to get the town coquette to fall in love with him, but her boyfriend isn’t having it, so he uses Ichabod’s superstitions to his benefit and drives him away dressed up as the legendary town ghost. I always loved how Irving left the story’s ending to your imagination. You had to have done quite a bit of research on Washington Irving for this novel, can you tell us a little bit about that process? Did you actually travel to Tarrytown, New York? Yes, in 2008 I took a 4-day trip to Tarrytown with my mother to scope out the area and get a feel for Sleepy Hollow. I tried to capture the feel of the fall season in Tarrytown without getting too technical about locations. I did a lot of research on Washington Irving and discovered lots of things that helped bring this story together. The man led a fascinating life—he was Ambassador to Spain, lived a long time in London, wrote most of his all-American stories while in Europe, and penned massive biographies, only to be mostly remembered for a couple of short stories he didn’t feel represented his best work. Through the research I did after reading Wake the Hollow, because lets face it your novel is full of fun interesting facts I didn’t know and wanted to learn more about, what made you decide on the Mary Shelly plot? Ha ha, I got you on Google, didn’t I? One of the things I learned while researching was that Washington Irving had been friends with Mary Shelley, the author of Frankenstein, and a few sources said he might’ve had a very brief relationship with her, even though he would’ve been about 30 years older than her. The first thought to go through my mind was one of those rap lyric battles—Frankenstein vs. The Headless Horseman…who will win?? Here you had two famous authors of Gothic literature possibly in a secret romantic relationship…it just doesn’t get better than that. I loved that Mica was of Cuban descent. Did you decide upon her heritage after researching Washington Irving’s life? What about the other characters? What was your thought process for them? I already knew from the beginning that I wanted to give the story a Cuban angle. I do this will all my books because my parents are from Cuba, and I pay homage to that in some small way every chance I get. But when I started planning Wake the Hollow, I thought, how the heck am I going to make anything Cuban in a story about an author as American as apple pie? Then I found a clue about Irving’s past and knew I had to follow it and use it to tie the whole thing together. All three main characters are modern-day parallels from The Legend of Sleepy Hollow. Micaela Katerina is the rich man’s daughter (Katrina Van Tassel), Dane Boracich is the worldly new schoolmaster from out of town (Ichabod Crane), and Abraham Derant is the handsome town hero (Brom Bones). Which character is your favorite? I personally loved Dane! Dane is my absolute favorite too. Without saying too much, he holds secrets, harbors quiet love he can’t express, and is a sworn man of duty. Can we talk about that ending for a second? No spoilers, I promise! I had so many theories and you just destroyed them all! Will we be getting a second book or is Wake the Hollow the end of the story? If so, I need people to start some fan fiction for me! Again, without saying too much, I will probably write a second book, because I want to see Micaela start a new life, one she lives for herself rather than others. I know when you aren’t writing, you design whimsical cakes; what type of cake would you design for Wake the Hollow? What cake flavors would you assign Bram, Mica, and Dane? I love this question! Let’s see…I would probably create a topsy-turvy Tim Burton inspired cake with black, purple, and green layers, a Headless Horseman on top carrying a flaming pumpkin, and lots of painted silhouettes of gnarly trees and tombstones. Bram’s layer would be Devil’s Food Cake, Micaela’s would be cinnamon cake with dulce de leche filling, and Dane would be marbled vanilla and chocolate, light and dark, good and bad all rolled together. Best read of 2016… go! I’ve spent 90% of my time this year so far writing, writing, and more writing, but I did manage to read a few great books, though they may not be from 2016. The Unbecoming of Mara Dyer by Michelle Hodkin, Anna and the French Kiss by Stephanie Perkins, and Rot and Ruin by Jonathan Maberry. I have three kids, all boys, aged 15, 10, and 10. So what helps me write the most…is late-night silence. I’d like to again thank Gaby Triana for taking the time to interview with us. I can’t wait for you all to read Wake the Hollow! I’d like to thank NetGalley and Entangles Publishing, LLC for the opportunity to review this ARC. Receiving this ARC for free does not sway my opinion. 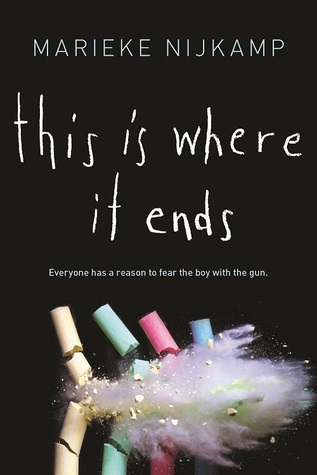 This Is Where It Ends is a thought provoking novel. We see a school shooting take place through the point of view of four different student. Each student has some type of relationship with the shooter. Over the course of the book you witness these relationships, how they intertwine, and how the characters think that if they had some said something or reacted differently they could’ve prevented the shooting and the deaths. Nijkamp shines light on something that is happening all too often recently. Her words are powerful and self-reflective. It was chilling moving through the book minute by minute, knowing where these characters were while the shooting was happening. And it was gut-wrenching watching people die because of one person and the choices they made. While characters believe they are each at fault for something, the only guilt should be in the shooter. I work for a university and this is something that is constantly in the back of my mind. If a shooting were to happen on-campus, where would I go? How would I react? Would I be brave enough to try and help the students in the way of the shooter? Nijkamp does a terrific job answering these questions through the different characters and gives an honest, and very realistic, account of something we hope we never have to face. First, I want to thank Simon and Schuster-Simon Pulse for being so kind and sending me this ARC without me even asking for it. You guys are awesome. It’s like you know me already. HIT is exactly what I craving and I didn’t even know it. Everyone knows I’m a sucker for the spy/con-artist/conspiracy stuff, but this is entirely different, yet it still fits in the Spy/Conspiracy genre… sort of. It’s weird. You can also say it’s dystopian, but it doesn’t exactly fit into that genre either. The girl is forced to turn into a bounty hunter, but in reality she is an assassin, although she is not a trained one. It’s very weird because you can’t say “It belongs in this genre”, but I like it. 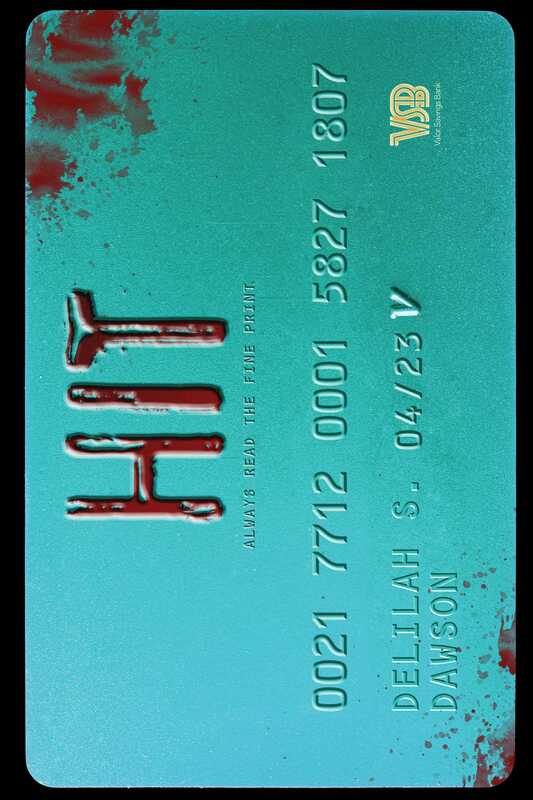 While HIT has its angst and romance, what it truly focuses on is the American spending culture present day. Almost everyone in the United States has a credit card. Our nation runs on the credit system, and I believe that most people would be screwed overnight if the credit system disappeared, or if the United States went bankrupt. HIT punches you in the gut and makes you realize just how bad our economy is. I myself have credit cards like many Americans and if the credit card companies would tell us pay up or die… Gosh… that’s just scary. HIT really makes you see just how much of a crutch the credit system is to our country and to our lives. Overall, I really liked how HIT was set up. It was a solid first book in a series and I can’t wait to read Strike the second book in the series. I feel like there is more to Wyatt than meets the eye and we will see him fully emerge in the next book, and I am so freaking excited! Disclaimer: Thank you Simon & Schuster for giving me the opportunity to read this book for free in exchange for an honest review. Receiving this book for free does not sway my opinion. I saved this book specifically for this week. I bought the book right after it was published in January and I was even approved by Scholastic and given an arc before that. But I saved it for this week because it would have been a tragedy if Ms. Ally Carter did not make an appearance during the Spy/Conspiracy/Drama week of Contemporary Conversations. She is so dedicated to this genre and I am so thankful for that. Let’s proceed with my review. I hope you enjoy it. I just finished read this and I am speechless. I did not see that ending coming. I am still reeling with that ending. I am shocked. Like people like to say I CAN’T EVEN. 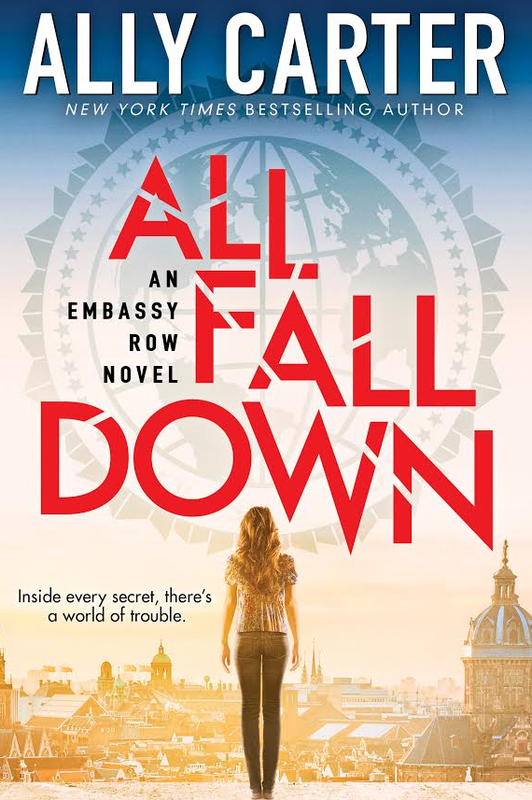 The title All Fall Down finally makes sense. Falling means many different things in this book, but it is Grace’s fall that we focus on the most. We see Grace’s entire journey and we slowly see her start getting madder and madder until she breaks… she falls. The only thing that was a little weak for me in the story was Noah as a character. He felt… lacking. Something wasn’t there for me. It could be that I missed something because I was devouring this book, but he is the reason why I can’t give it 5 stars. I felt his character a little two-dimensional. This is the first book in a series, so I hope we get to see more of him and he can turn into a character that I love. One of the reasons why I am such an Ally Carter fan is because she can turn things I would normally see as boring, intriguing. I will never see ambassadors and their children the same again. I also have a higher respect for them. Their job is so important and it is something that day-to-day we don’t even think about. Her books always make me think. Also, there is NO ROMANCE. None. Zilch. Nada. That is so refreshing. I can’t rave enough to give this book justice. 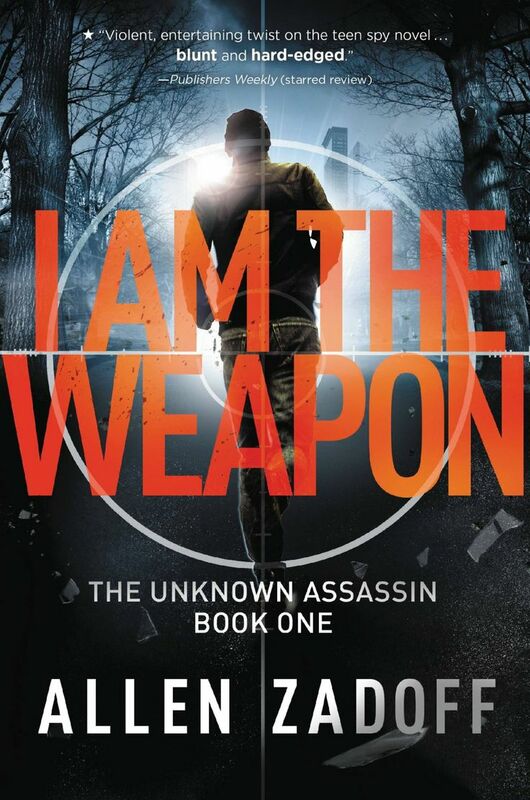 If you want to get into the world of spies, government agents, and conspiracies, Ally carter is the author for you. Pick this story up. Trust me, you won’t be bored.